Hi. My girlfriend and I are Australian's who will be visiting Europe on a working holiday. We are massive music festival fans and would like to experience as many of them as we can. Could anyone shed some light on any other great festivals Europe has to offer between 1/Feb and 31/July 2009. We'll be based in London but are willing to travel for a worthwhile festival. 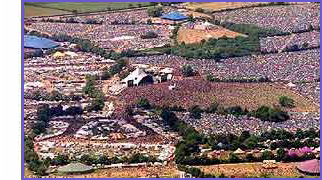 thoroughly recommend Glastonbury but I think that goes without saying.